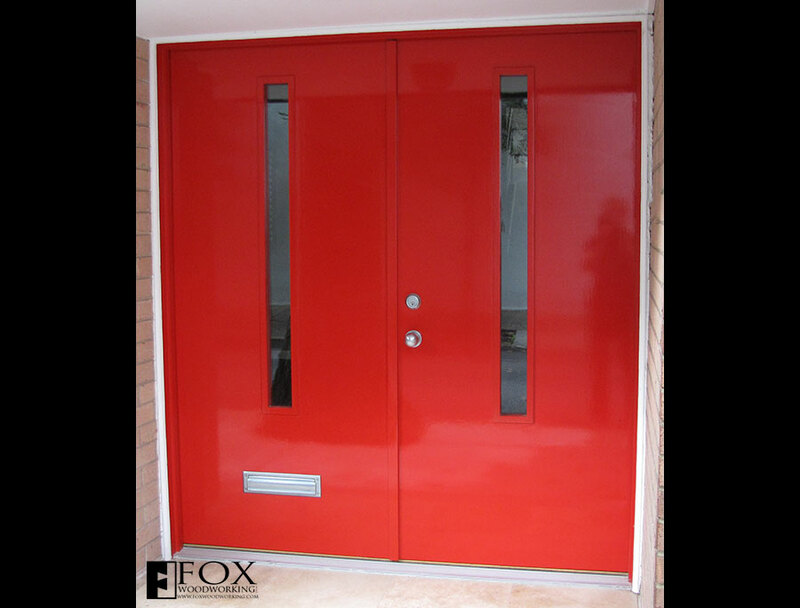 These painted red entry doors were made for a house on Panama St. in Philadelphia. 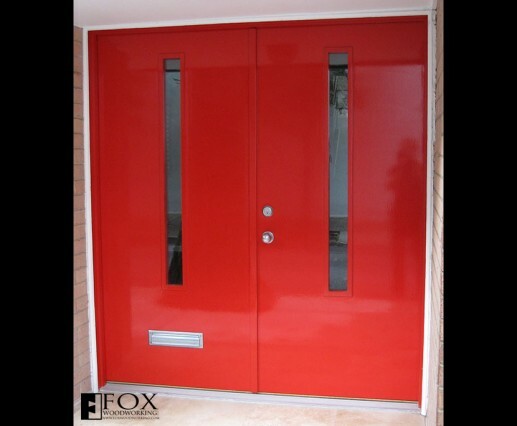 We built the doors and jamb as a prehung unit and delivered it to the builders. The narrow windows are tempered, insulated glass units. 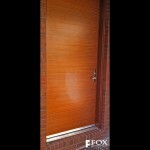 The doors themselves are simple solid core doors that we machined and finished. The finish is an oil-based paint from Fine Paints of Europe with a high gloss sheen.